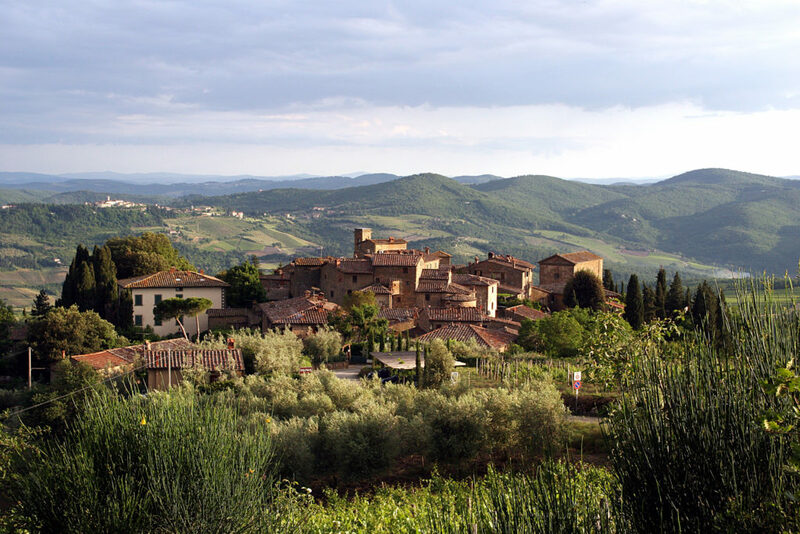 The village of Volpaia sits on a hilltop just north of the town of Radda in the heart of the Chianti Classico region. 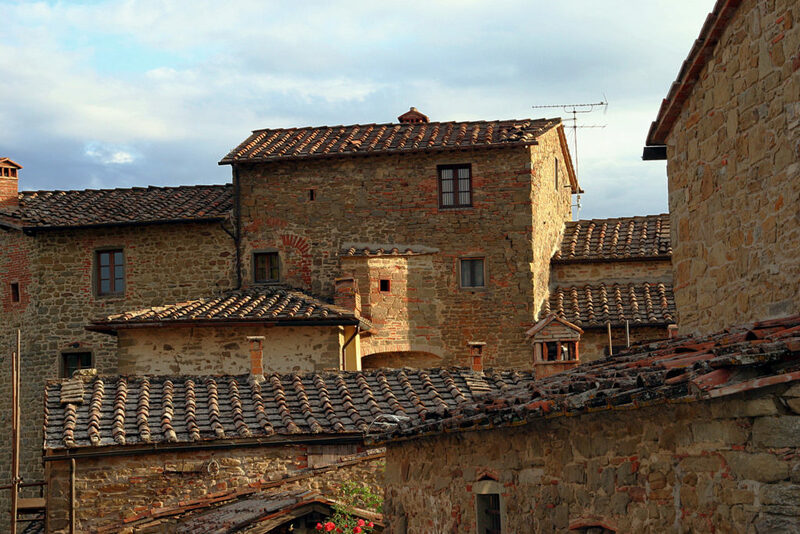 Volpaia was built in the 11th century as a fortified village on the Florence-Siena border. 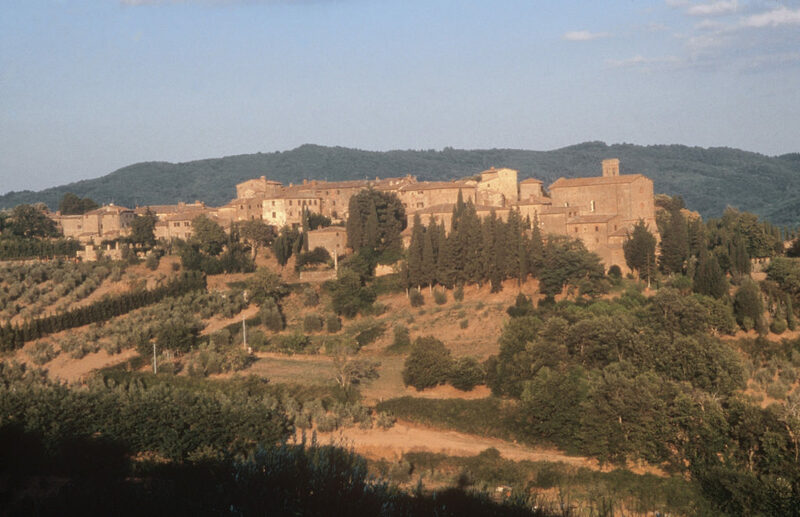 Unlike Brolio, Meleto and other Chianti-area castles, Volpaia is a “terra murata,” a “walled village.” Although only part of the original protective walls and two of its six towers are still standing, the medieval layout and buildings within the village are still intact, making Volpaia one of the best-preserved villages of its period. 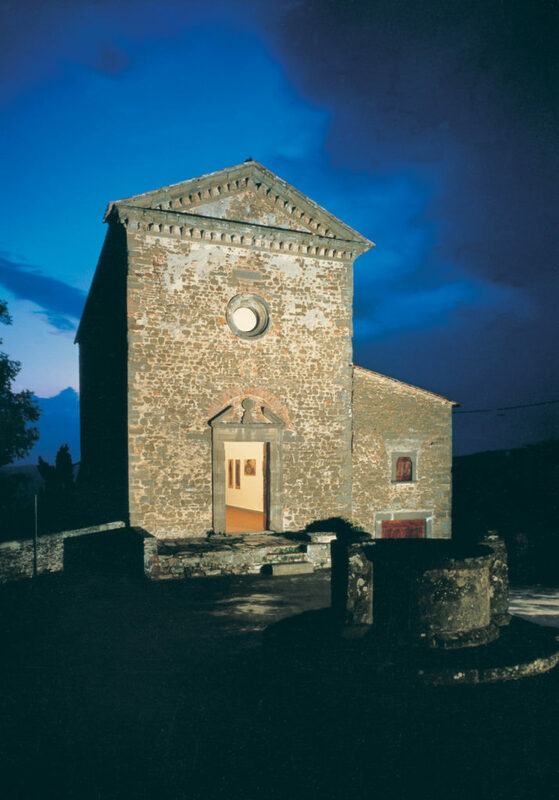 The most notable Renaissance-era building in Volpaia is the Commenda di Sant’Eufrosino, the second of four churches built within the city’s walls. Attributed to Italian architect and sculptor Michelozzo di Bartolomeo (1396-1472), the church was built in 1443 by request of the Canigiani family, who lived in Volpaia. One of the family members wished to join the Knights of Malta, a religious order and military brotherhood ruled by a Grand Master that answered only to the Pope. The Knights of Malta required that the Canigianis build a church in Volpaia before joining the organization. The Commenda was deconsecrated in 1932 and declared a national monument in 1981. For 13 years, until 1993, the Commenda housed a renowned art collection. 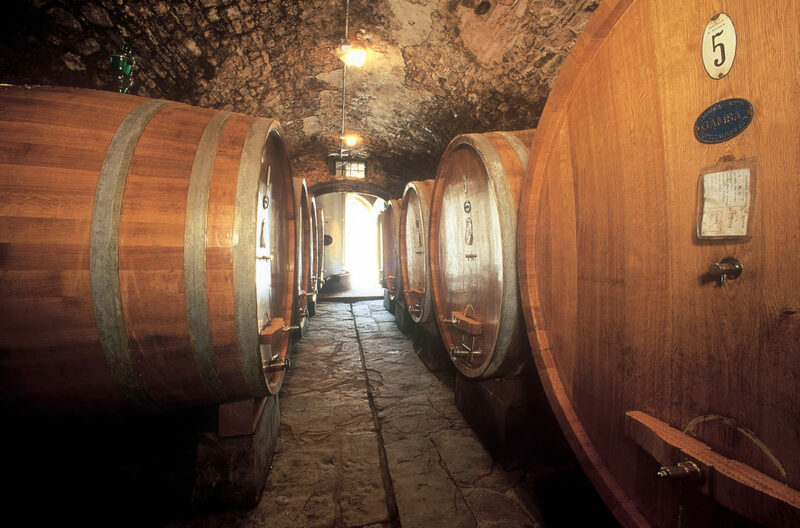 The basement of the church now contains one of the winery’s barrel cellars, while the Commenda where mass was once held is used for tastings, dinners, concerts and other events. 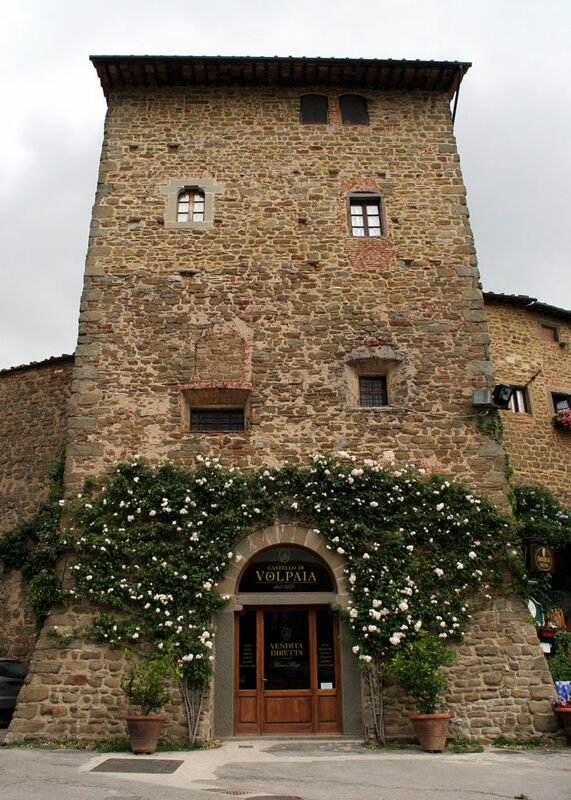 Volpaia dates back to 1172. 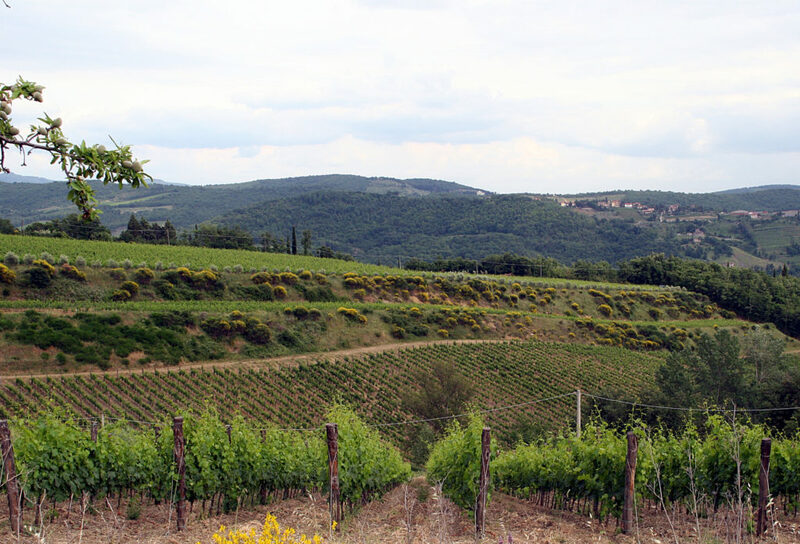 In 1250, Volpaia was a founding member of the Lega del Chianti (Chianti League). The Florentine Republic formed the Lega by dividing its communities into three districts — Castellina, Radda, Gaiole — and allotting each a certain amount of territory. Volpaia was included in the League’s Terziere di Radda. 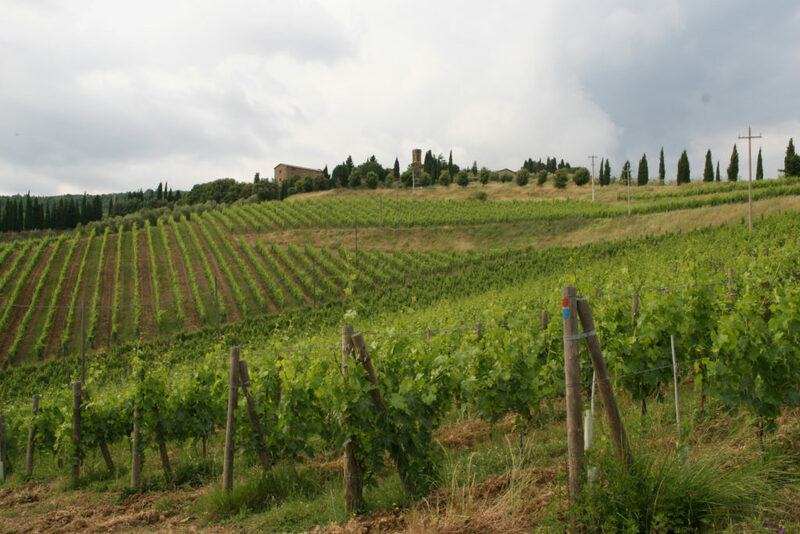 The territories were front-line garrison towns for Florence in the Florentine-Sienese wars, and the emblem for the Chianti League was the “Gallo Nero,” or “Black Rooster” — the current trademark for Consorzio Vino Chianti Classico. 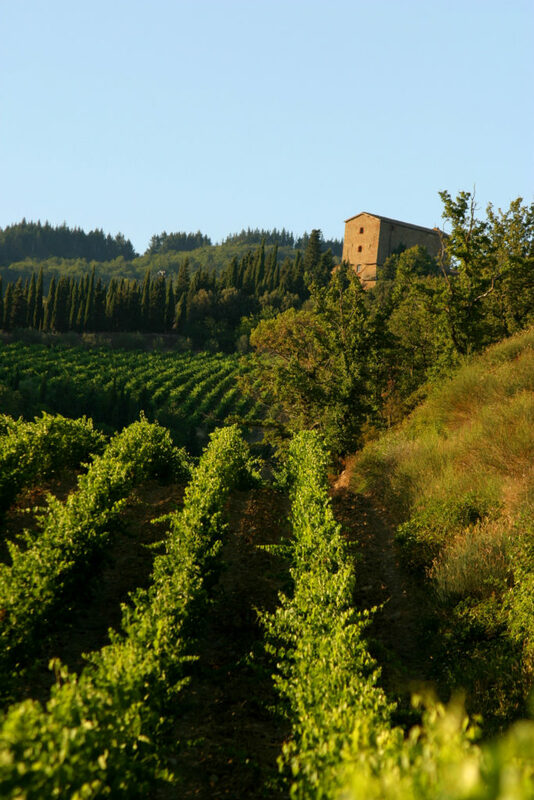 The winery’s logo features the coat of arms from the illustrious della Volpaia family, who lived in the village and took its name from the town itself. Lorenzo della Volpaia (1446-1512), an architect, goldsmith, mathematician and clockmaker, founded a Florentine dynasty of clockmakers and scientific-instrument makers that included his sons, Camillo, Benvenuto and Eufrosino and nephew Girolamo. As clockmaker, he gained fame and honor with the construction of the Orologio dei Pianeti (Planetary Clock) in 1510. Lorenzo also built the clock at the Palazzo Vecchio in Florence. He was a friend of Leonardo da Vinci and often gave him advice on technical problems; Lorenzo even took part in the discussions on the placement of Michelangelo’s David. The della Volpaia family instruments are on display at the Science Museums in Florence and Greenwich (United Kingdom). 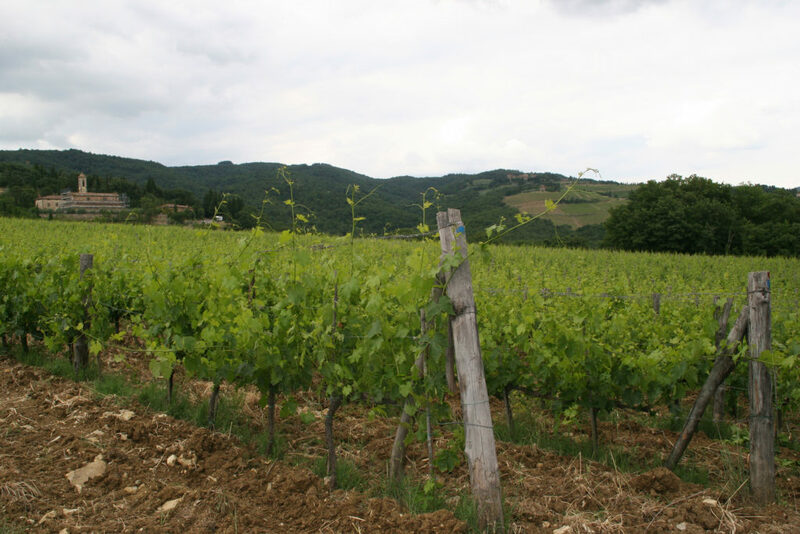 At this time, Volpaia was owned by three different families and portions of the village, vineyards and surrounding land became available to purchase. 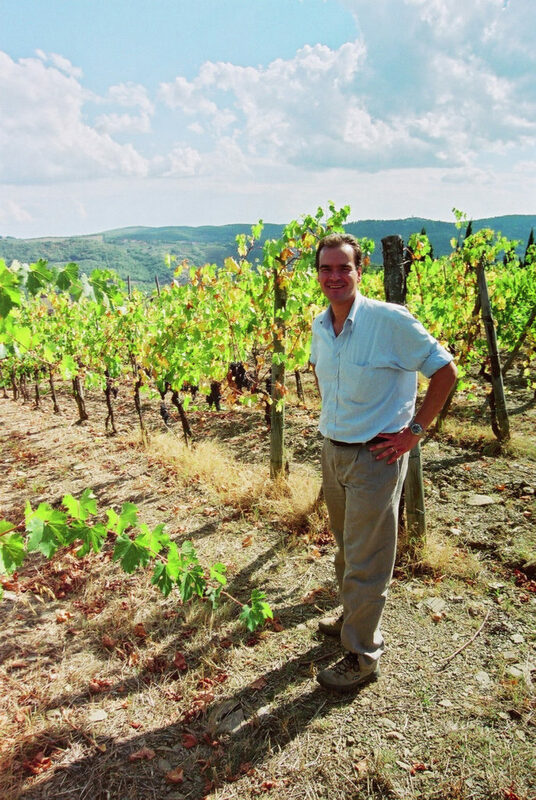 Raffaello purchased a portion of the Volpaia estate in 1966 and continued to purchase land in Volpaia as it became available in the passing years. 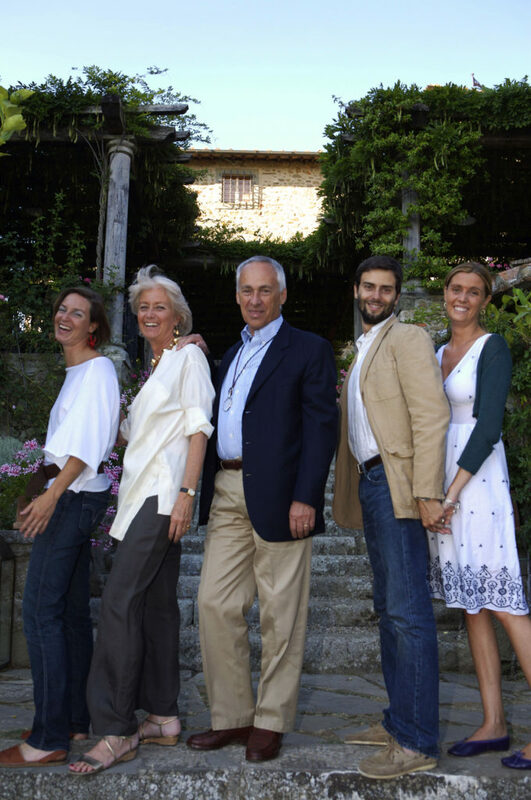 When Giovannella married Carlo Mascheroni in 1972, Raffaello gave his Volpaia estate to the young couple as a wedding gift. 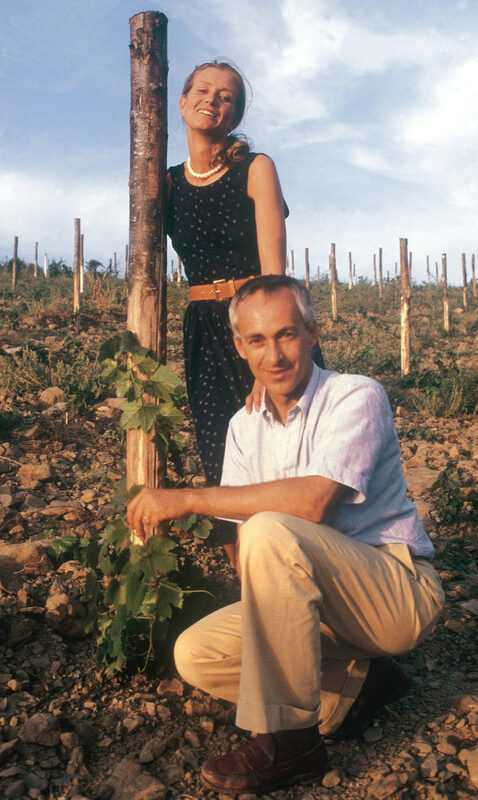 By the mid-1970s, Carlo and Giovannella decided to commit their considerable energies toward modernizing the winery and producing world-class wines — all without altering the external structure of the 11th-century village. 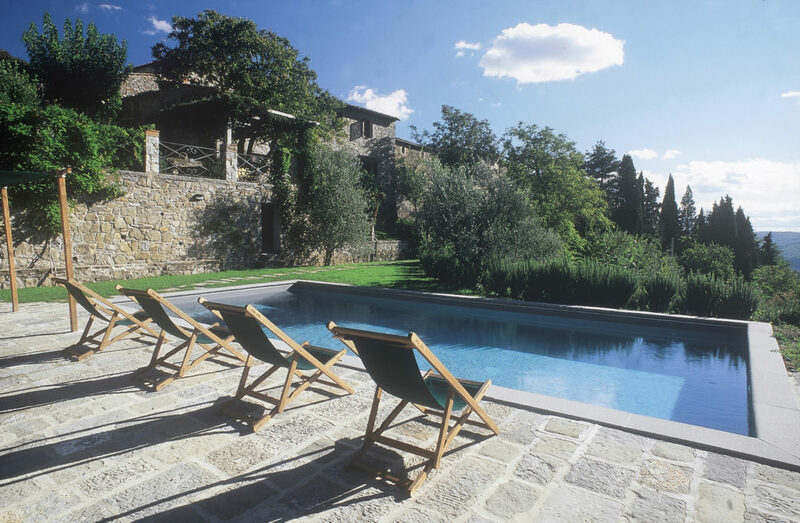 They painstakingly converted several historical sites to cellars, offices and apartments. Within the castle, whole floors were removed, roofs were raised and carefully re-laid with their original tiles, while abandoned churches were fitted with the latest stainless-steel equipment. 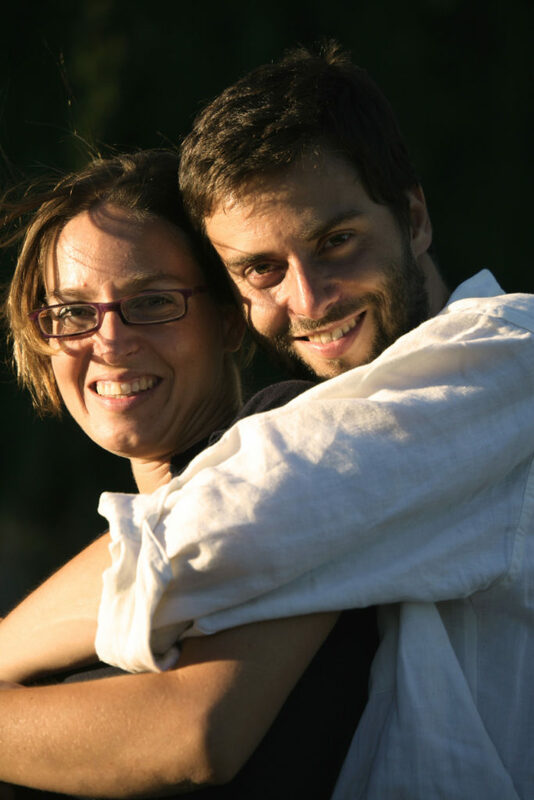 Giovannella and Carlo were the first in the Chianti Classico region to utilize temperature-controlled fermentation techniques. 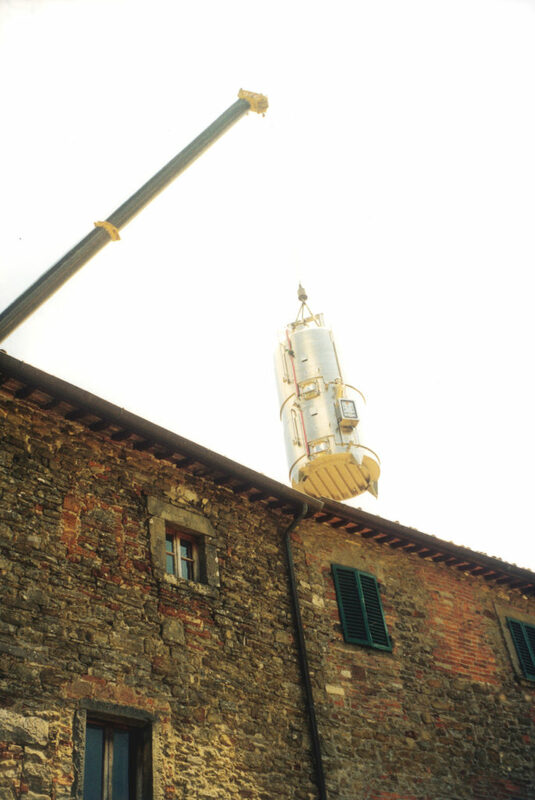 The Stianti Mascheroni family also installed an amazing “wineduct” that connects the winery’s stainless-steel fermentation tanks in the upper part of the village to the various barrel cellars in the lower portion of the village. 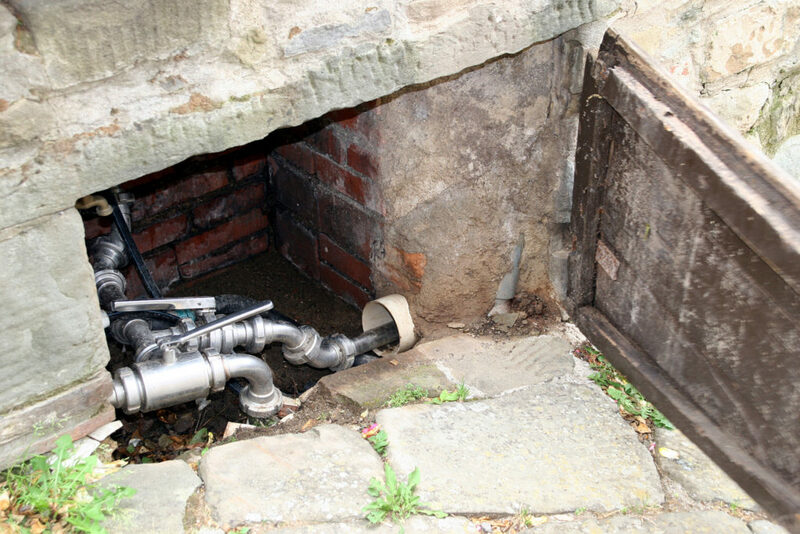 The wine passes by gravity through the stainless-steel pipes that are hidden below the village’s streets. Achieving their desired level of quality has been a decades-long process, and one that is never finished. 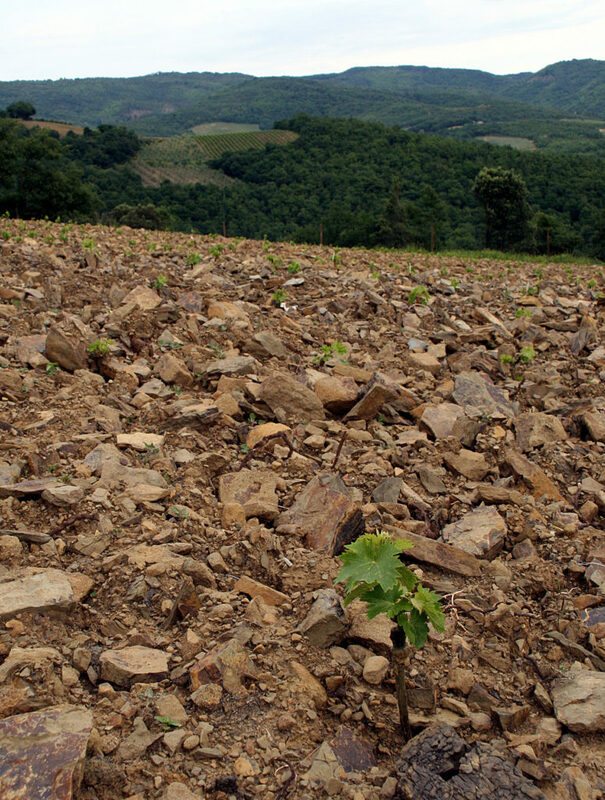 Nearly every five years the family has updated the cellars with the most modern vinification technologies. 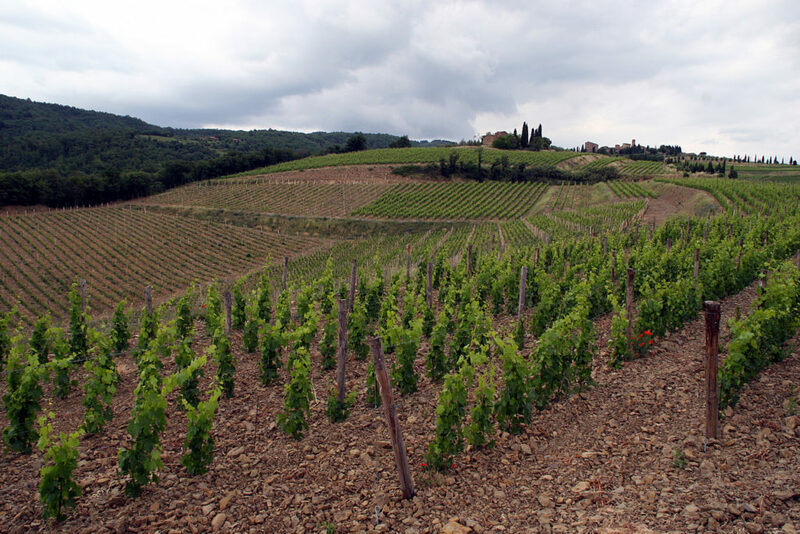 In the last 35 years, the family has replanted most of its vineyards, using the best Sangiovese clones available, while at the same time preserving the oldest Sangiovese clones in the region. 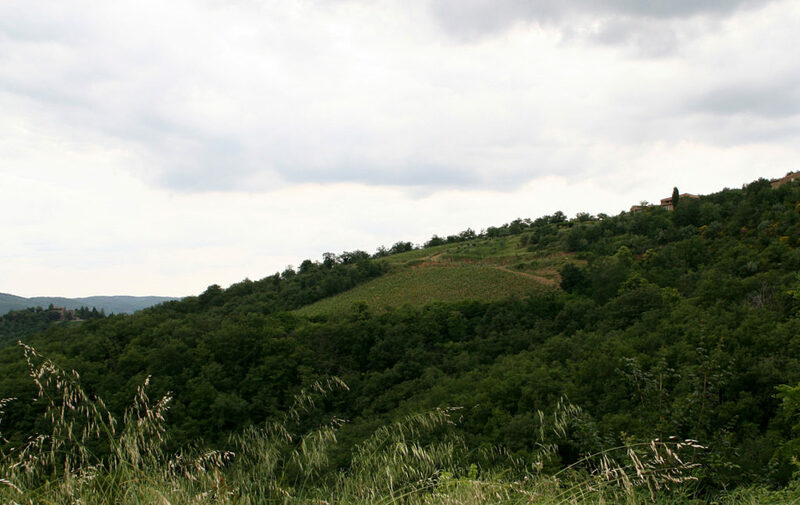 One of the highest-elevation winery in the Chianti area, Castello di Volpaia owns 46 hectares (114 acres) of vineyards, which are situated at 450 to 600 meters (1,300 to 2,130 feet) on the southern hillsides leading up to the village. 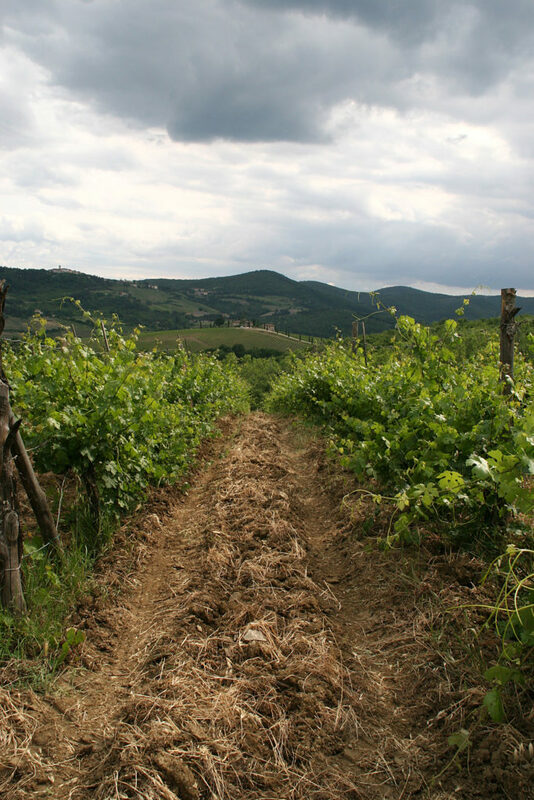 Volpaia is committed to organic farming practices in all of its estate vineyards and complies with all of the organic viticulture legislation in the production of its wines (European Community Legislation, rg CE 834/2007 Organic Agricolture; EU Certification 203/3012 for Organic Wine; Controller Q Certificazioni srl). 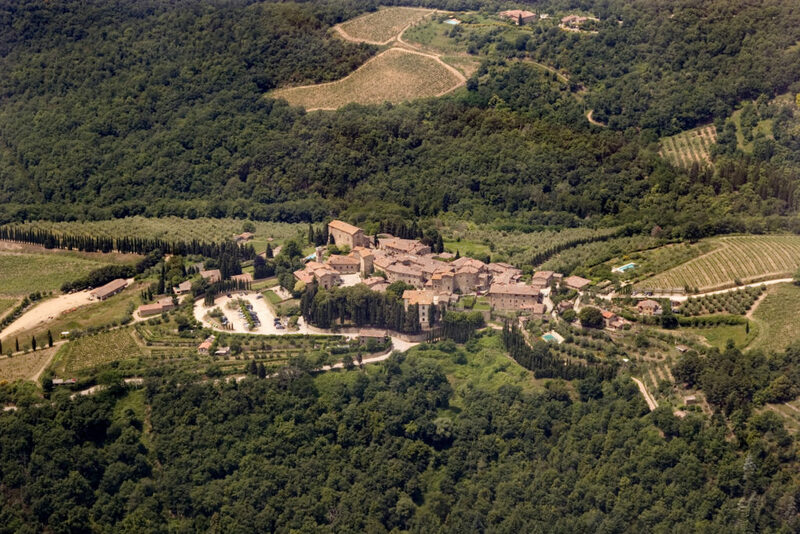 Today, the Stianti Mascheroni family owns roughly two-thirds of the village. 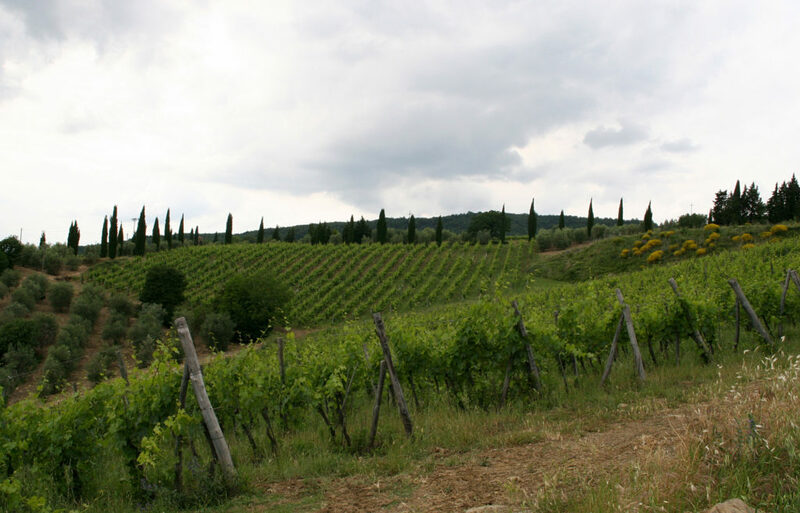 There are 370 hectares (914 acres) of land, including 46 hectares (114 acres) of vineyards, nearly 16 hectares (40 acres) of olive trees, as well as the walled village, villas and forests. 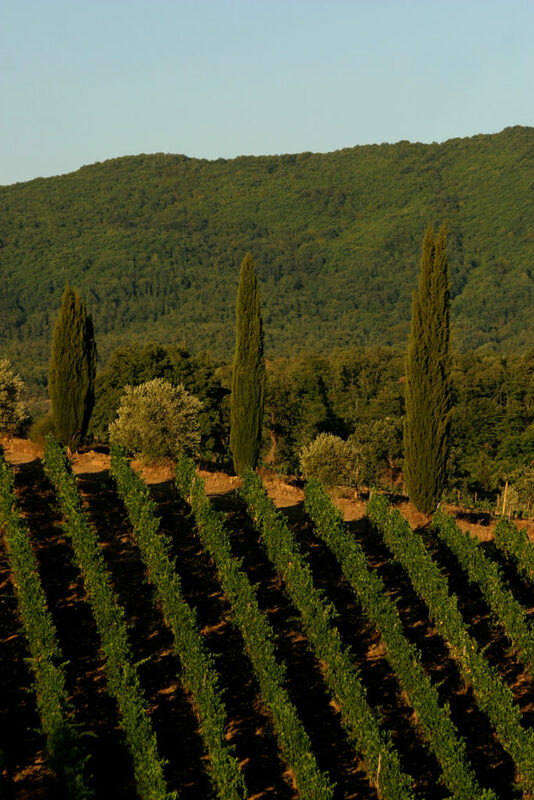 Just as it has been for the last 900 years, nearly the entire village is intimately involved in the production of wine and olive oil. 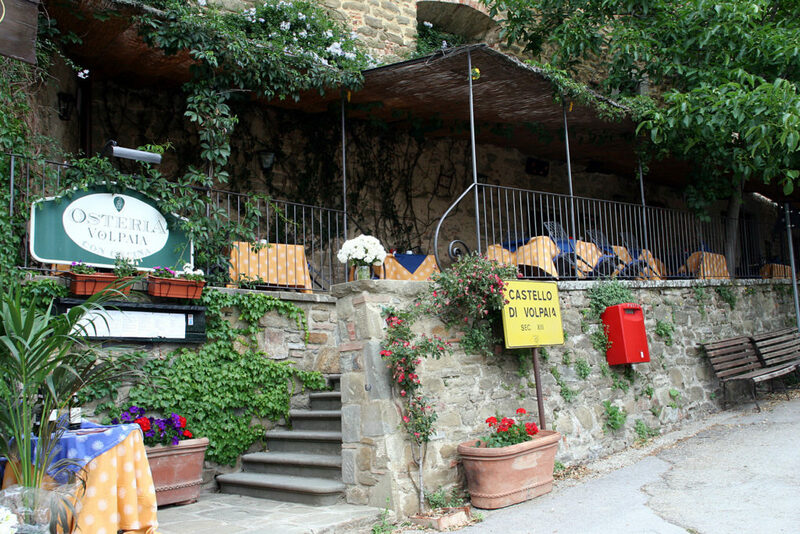 Volpaia is not only a beautiful village for tourists to admire, but is also a hub of activity where the residents are linked directly or indirectly with the winery. 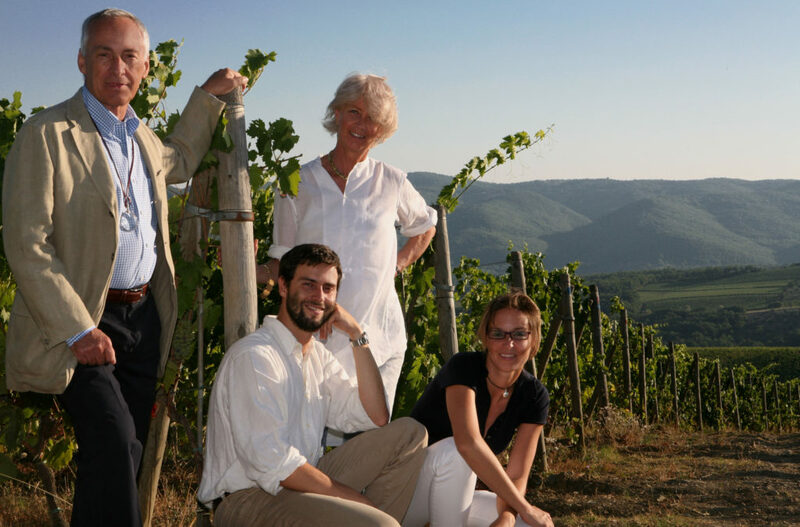 Most of the employees of the winery live within the village’s walls, sheltered in houses that the Stianti Mascheroni family has restored for this very purpose. 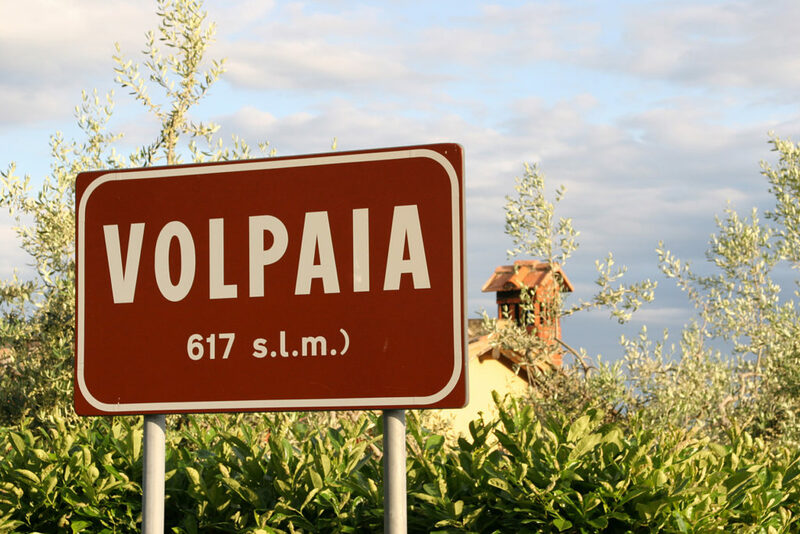 Volpaia is one of the few rural villages whose population has been growing in the last two decades. 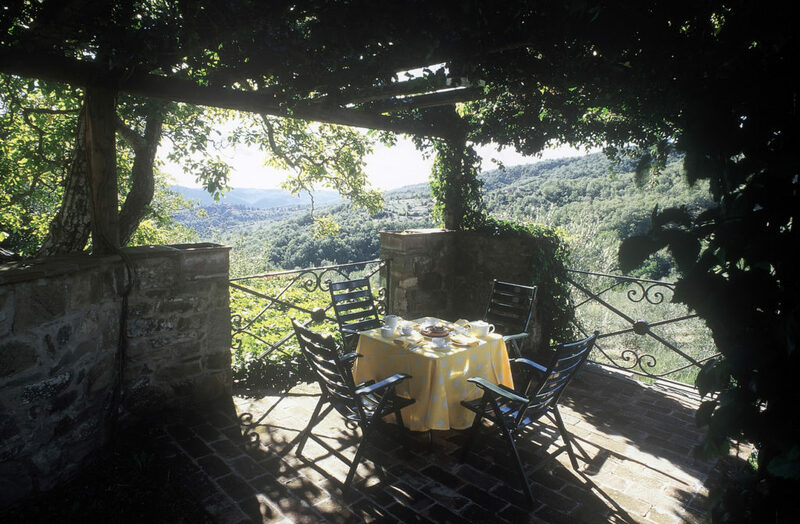 Residents welcome an average of 50 guests on any given day through Volpaia’s villa and apartment accommodations. 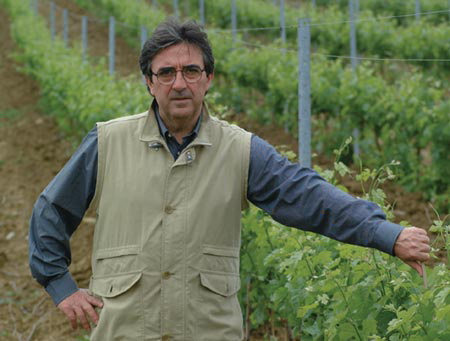 The winery’s logo features the coat of arms from the illustrious della Volpaia family, who lived in the village and took its name from the town itself. Lorenzo della Volpaia (1446-1512), an architect, goldsmith, mathematician and clockmaker, founded a Florentine dynasty of clockmakers and scientific-instrument makers that included his sons, Camillo, Benvenuto and Eufrosino and nephew Girolamo. As clockmaker, he gained fame and honor with the construction of the Orologio dei Pianeti (Planetary Clock) in 1510. Lorenzo also built the clock at the Palazzo Vecchio in Florence. He was a friend of Leonardo da Vinci and often gave him advice on technical problems; Lorenzo even took part in the discussions on the placement of Michelangelo’s David. The della Volpaia family instruments are on display at the Science Museums in Florence and Greenwich (United Kingdom), the Palazzo Vecchio in Florence and the Adler Planetarium in Chicago. 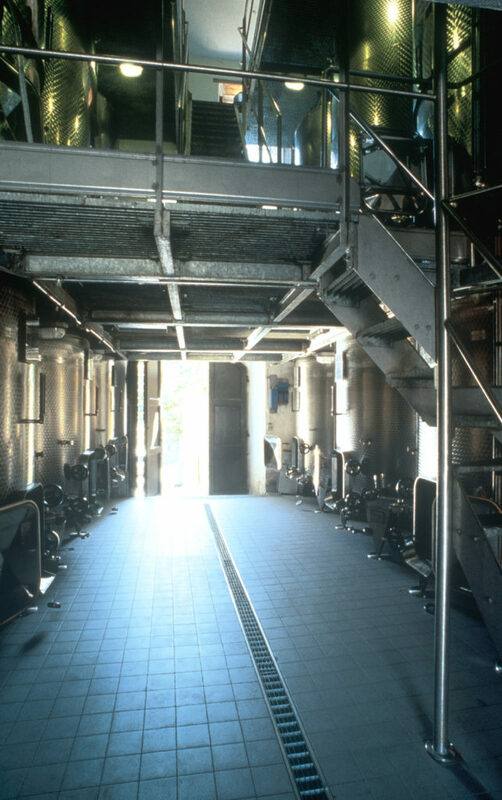 The Stianti Mascheroni family also installed an amazing “wineduct” that connects the winery’s stainless-steel fermentation tanks in the upper part of the village to the various barrel cellars in the lower portion of the village. 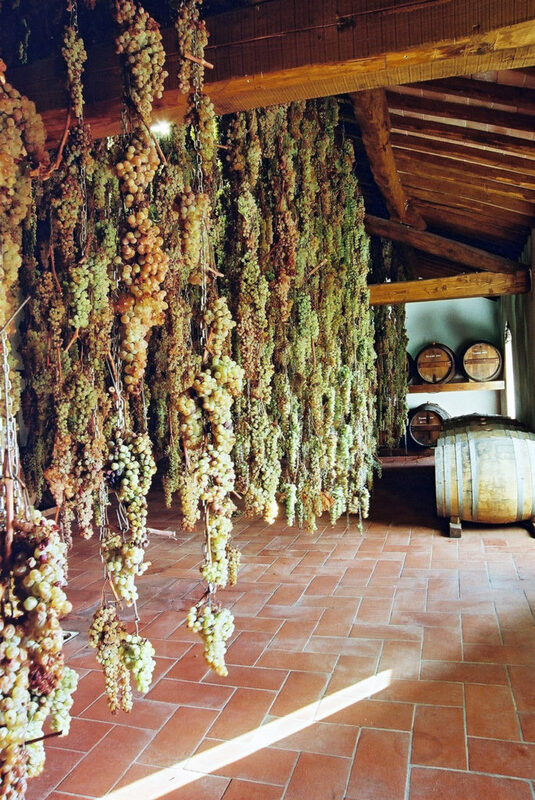 The wine passes by gravity through the stainless-steel pipes that are hidden below the village’s streets. Because the entire village of Volpaia is protected by the Soprintendenza dei Beni Culturali e Ambientali, part of Italy’s Ministry of Arts and Culture, the Stianti Mascheronis were required to number each stone that was removed in the process of building the wineduct, and then return the stones to their original locations once the wineduct was in place. Achieving their desired level of quality has been a decades-long process, and one that is never finished. 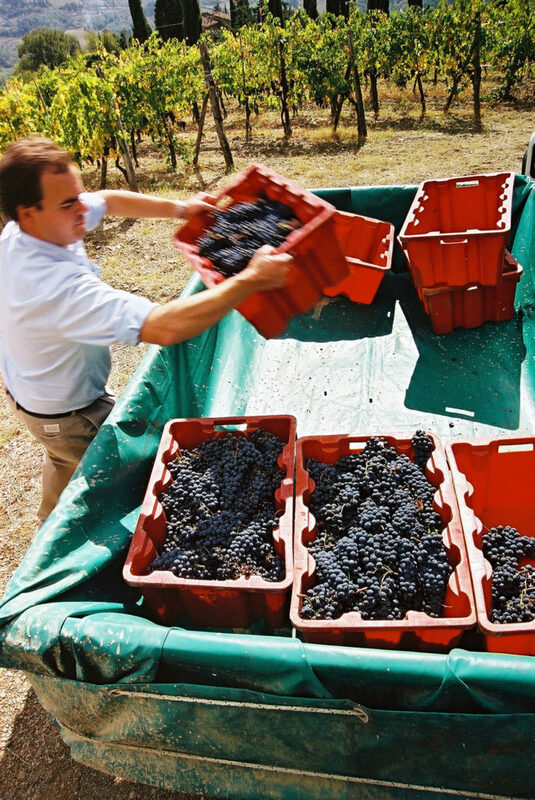 Nearly every five years the family has updated the cellars with the most modern vinification technologies. 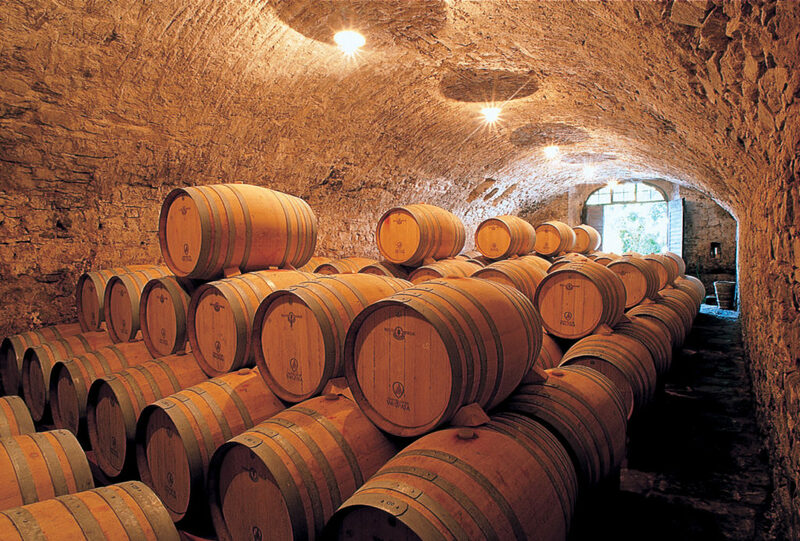 Barriques are replaced every vintage. 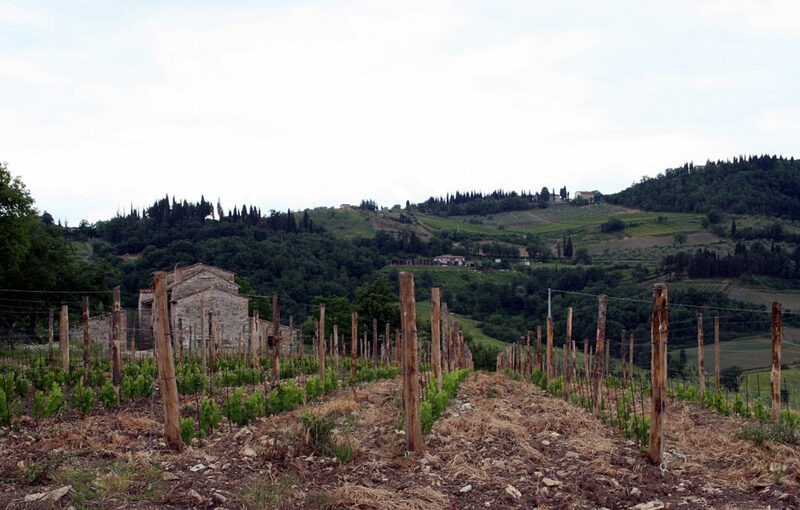 In the last 35 years, the family has replanted most of its vineyards, using the best Sangiovese clones available, while at the same time preserving the oldest Sangiovese clones in the region. 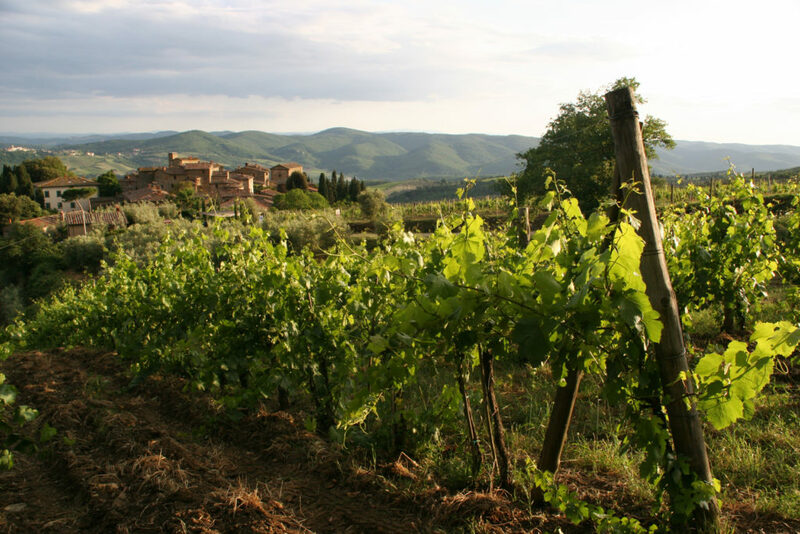 Just as it has been for the last 900 years, the entire village is intimately involved in the production of wine and olive oil. 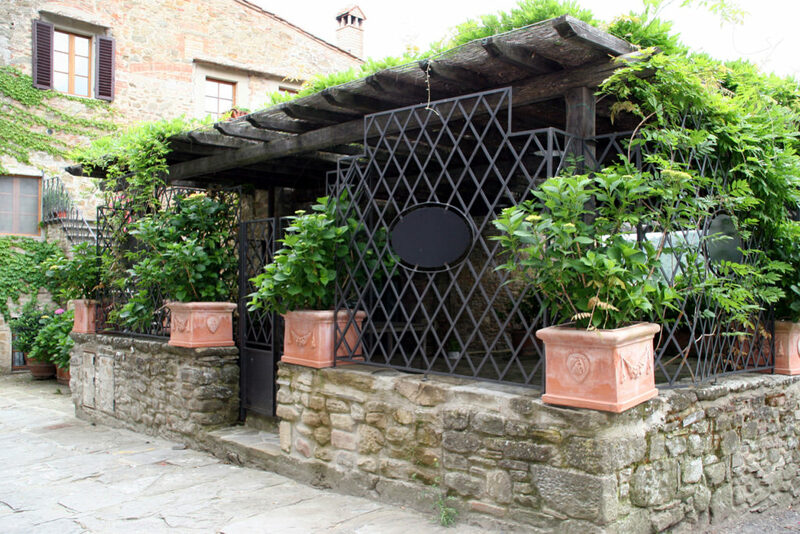 Volpaia is not only a beautiful village for tourists to admire, but is also a hub of activity where the residents are linked directly or indirectly with the winery. 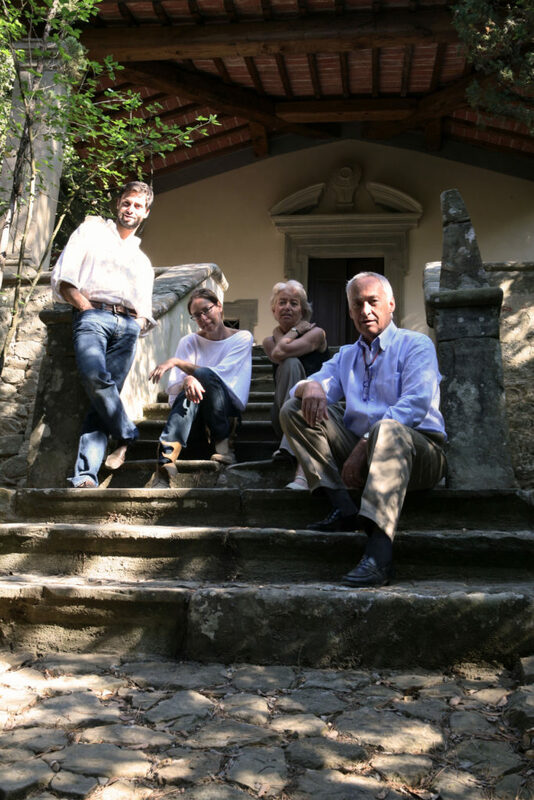 Most of the employees of the winery live within the village’s walls, sheltered in houses that the Stianti Mascheroni family has restored for this very purpose. 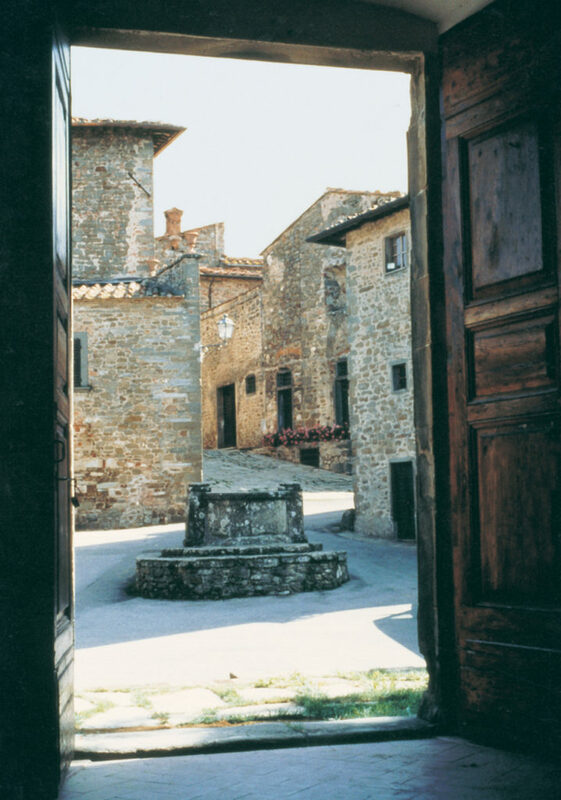 Volpaia is one of the few rural villages whose population has been growing in the last two decades. 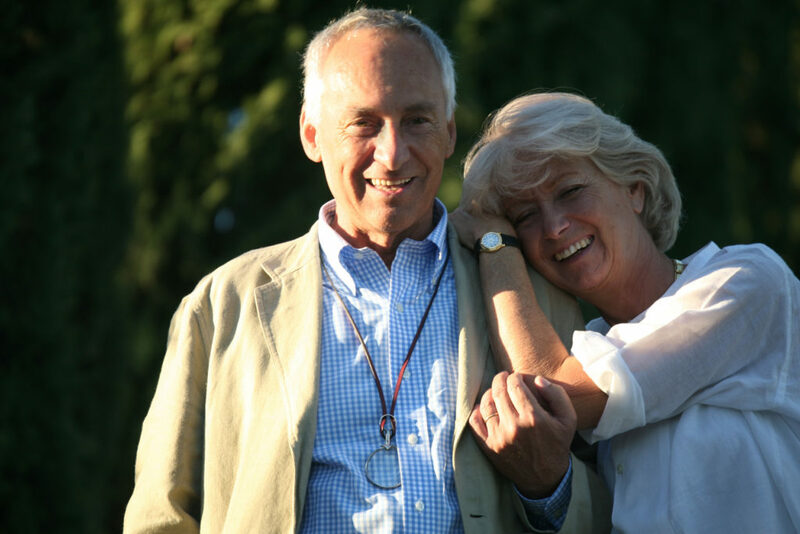 Residents welcome an average of 50 guests on any given day through Volpaia’s villa and apartment accommodations.